Added warning message if video media can not be played by the computer’s video subsystem. Previously no warning would be issued and users would see a black screen. 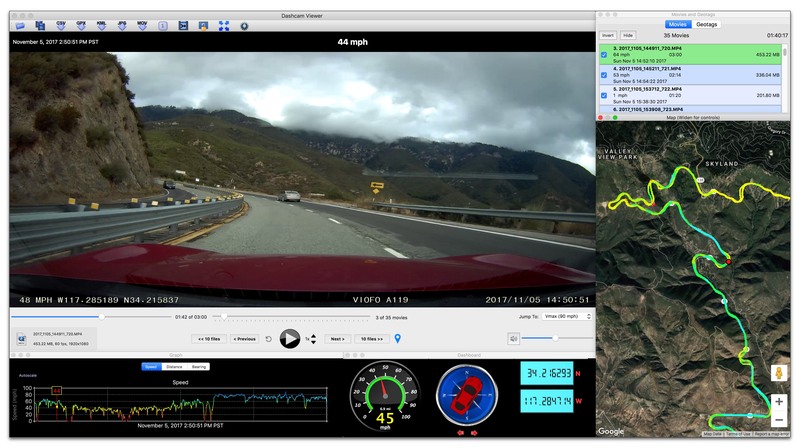 Dashcam Viewer is PC/Mac software that allows you to playback your dashcam’s videos while simultaneously viewing your vehicle’s location on a map. There are many other features in the software which are detailed on our website (http://dashcamviewer.com). The free version is fully-functional and allows the loading of up to 2 videos at a time. Fixed issue introduced in v3.1.8 where DCV would not process GPS data of certain dashcam models. Fixed crash that could occur if all graph y values were identical. 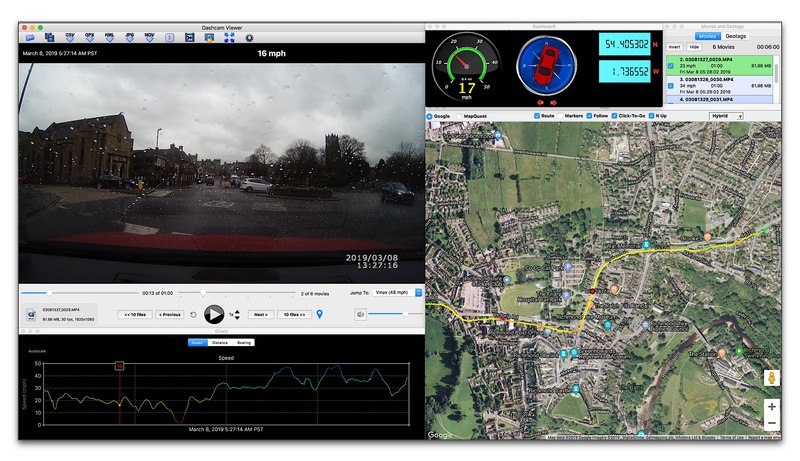 Dashcam Viewer is PC/Mac software that allows you to playback your dashcam’s videos while simultaneously viewing your vehicle’s location on a map. It is compatible with more than 100 dashcam models. There are many other features in the software which are detailed on our website (http://dashcamviewer.com). The free version is fully-functional and allows the loading of up to 2 videos at a time. Added Fullscreen mode. Use Cmd-F (Ctrl-F on Windows) to toggle between Fullscreen and regular modes. Don’t have a dash cam yet? The Dashcam Viewer website now has sample dashcam videos for you to try. 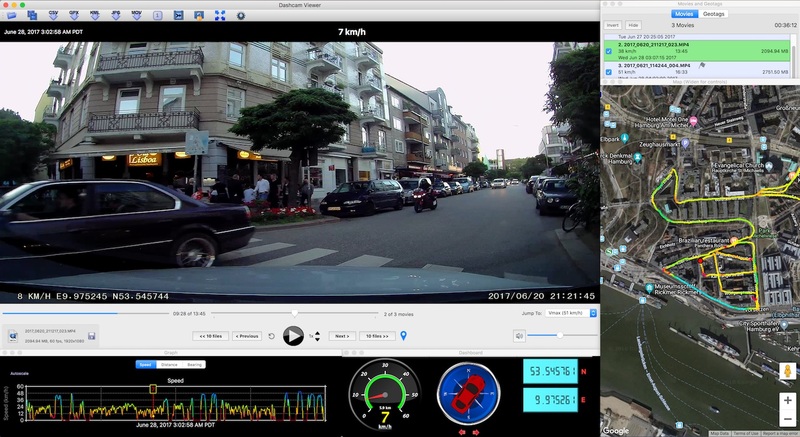 Improved responsiveness of Dashcam Viewer when clicking in the map or in a graph to jump to a point in a video. German-language Users Manual courtesy of Juergen W.